Amid the continuous rain and flooding in Manila that caused several nearby dams to overflow and Marikina river reaching dangerous state, online rage out-poured against the person named "Marian Tan". 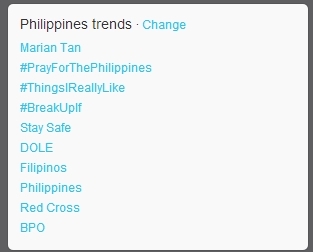 As of the time of writing Marian Tan is trending in twitter. And as you read over the tweets, you can easily notice the anger of the twitter citizens. Well, based on her Facebook profile, she was a Freelance model. 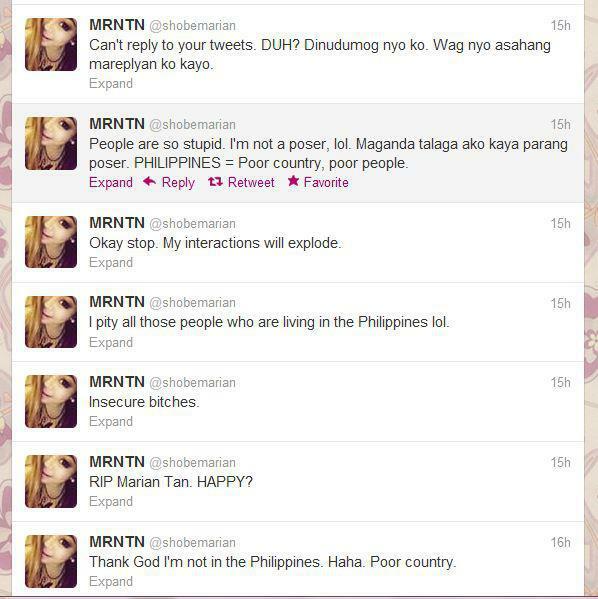 And based on several information I obtained from the tweets, there was apparently a fake Marian Tan twitter profile that posted several tweets that made fun of the floods occurring in the country. 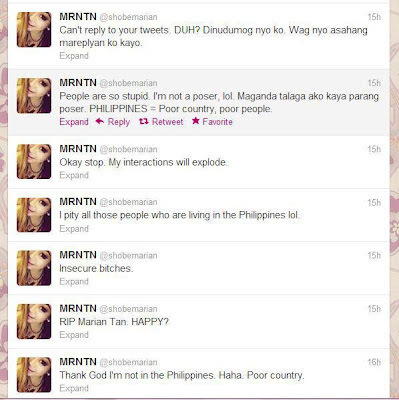 Below is the posts of the allegedly fake Marian Tan Twitter profile. If proven that the post indeed came from someone pretending to be Marian Tan, this is a good example of cyber bullying, where a person's reputation can be destroyed by fake and baseless allegations intensified by the power of social media. This is the bad side of the internet. June 2012 Nursing Board Exam Result is Now Out!